Our focus is making more interesting versions of foods that everyone already uses. Why use crushed red pepper on your pizza when you could be using Smoky Bourbon Pepper Blend? Why use sea salt on your breakfast when you have Citrus Rum Sea Salt Blend? We've got more on the way! Bacon bits, cocktail bitters, all kinds of stuff--all in the pipeline! 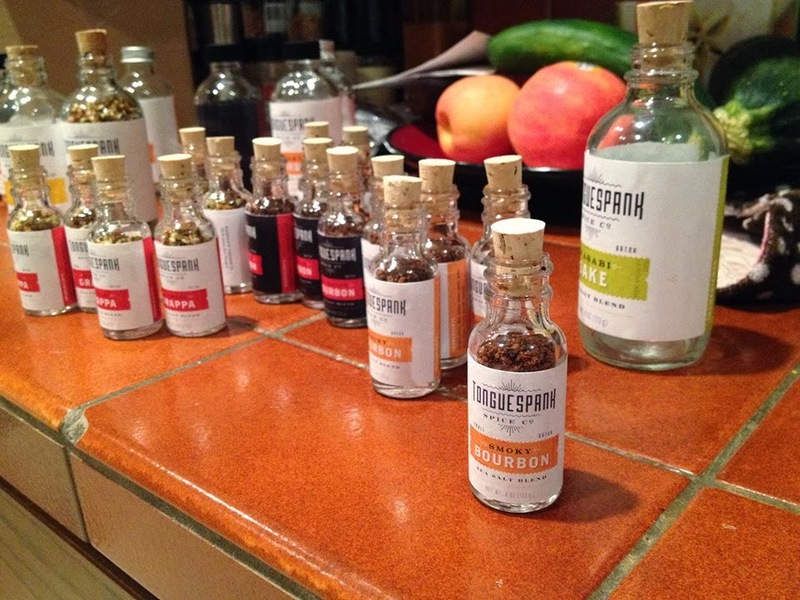 Tonguespank Spice Company is a Chicago based company specializing in adventurous and unusual taste blends. The initial series is called "Liquor & Heat" and is based on liquor-infused hot peppers. The blends are chock full of rare peppers sourced from all over the world and are all natural, with no preservatives. "These are not traditional cooking spices, but condiments meant to replace the old standards of salt, pepper, parmesan, and crushed red pepper at the table. "Best Comparison? Dry hot sauces. The line consists of four regular blends and one superhot "premium" blend for real chili heads. Smoky Bourbon Table Blend $8.00 - This blend begins with the sweet aroma of smoky morita chipotle peppers, adds depth and complexity with garlic and bourbon, and finishes up with a slow ghost-and-habanero burn that builds as long as you keep eating it. It goes well on eggs, burgers, grilled veggies... anything that can use a smoky heat. If you only try one variety, this should be it. But honestly, who wants to try just one? 2 oz. Garlic Grappa Table Blend $8.00 - If you've ever been inside an Italian kitchen, you'll recognize this smell immediately. All the Tuscan herbs are here, alongside the warmth of a balsamic vinegar and Italian brandy blend. Replacing the standard red pepper with habanero chilies kicks the whole combination up a few notches. Try it on pasta or in a marinara sauce. 2 oz. Scorpion Bourbon Table Blend $15.00 - This is the hottest blend we make. We start with Smoky Bourbon and turn it up to 11. We use Trinidad Moruga Scorpions, one of the hottest peppers in the world at up to two million Scoville units (compare that to Jalapeños at 20,000). Peppers this hot are hard to find, but you won't be needing much anyway. 2 oz. Citrus Rum Table Blend $8.00 - Out of all our current line-up, this blend has the most tricks up its sleeve. Based on allspice, habanero, and rum, try it on any protein for that "what on earth is this?" reaction you've been looking for. Plus you can put it in cider and hot chocolate! Perfect for staying warm and toasty when the Polar Vortex comes to town. 2 oz. Liquor & Heat - Complete Collection $35.00 - Some flavors just go together. Hot peppers and bourbon, cinnamon and rum, garlic and grappa... you get the idea. We've taken some of our favorite combinations and made them into tongue-spanking spice blends that you can put on absolutely anything. Put them on your table and use them instead of those boring standbys: salt, pepper, parmesan, crushed red pepper, and hot sauce. Your tongue will thank us! My life is very hectic, I am on the go all the time from morning to night. I am up in the very early morning hours and then I am off to work, and as soon as work ends it is time for my full time job as a mom. By the time I am home and I pick my daughter up I have just about an hour to help her with her homework and get dinner on the table. Yes it can get a bit crazy at times. Luckily I had an easy meal idea for tonight’s dinner. 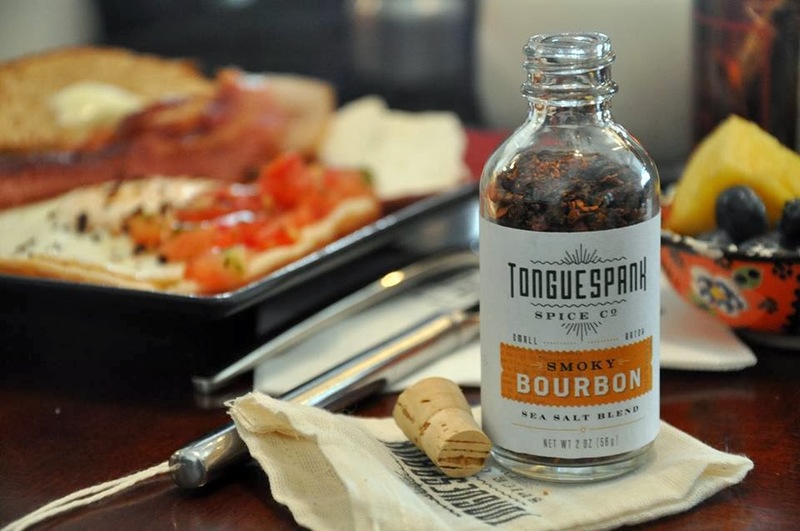 We had frozen seafood, and I had a great way to make it special, and tasty with the Tonguespank Spice Company. I made a quick and easy meal, I topped the fish with a touch of Smoky Bourbon Table Blend and Citrus Rum Table Blend. The combination was amazing, there was a slight smoky flavor and a great lemon flavor that worked so well with the fish. My daughter is quite a lemon fan, she eats lemons (the full lemon!) regularly… So needless to say she loved the Citrus Rum Table Blend. She used the Citrus Rum Table Blend on some buttered noodles, and I have to say the noodles were delicious! My husband is a fan of heat. He loves to put hot sauce on just about all of his meals, so he was excited to be able to try the Scorpion Bourbon Table Blend and add a little more spice to his favorite food… And boy did this spice give the food a great kick… This was spicy! Perhaps a bit too much for me, I am just a light weight when it comes to eating spicy food, but my husband just loved this as a topping and a mix in. He added this to his chili for a fiery punch. There is just so much you can do with condiment like spices, jazz up chicken, beef fish, rice, pasta and so much more! From just the smell alone the spices from the Tonguespank Spice Company, get your mouth watering and exited. 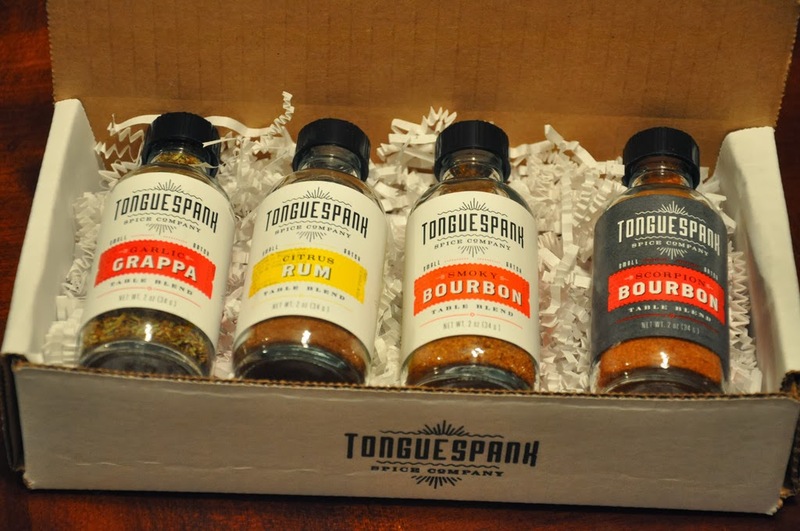 So if you are looking for a great way to spice up your food you are going to love the Tonguespank Spice Company. These spices really do give your tongue a spank, the have spices for the daring, and the not so daring, bold flavors that really stand out and will be used over and over again. Not sure what spice to order? Well don’t worry they have a great sample try me pack that you can order, were you will get a small sample of each of the spices, Liquor & Heat - Sample Pack to try at home for only $3.00. After trying you can see what is your favorite, and then order the full size bottle. Your tongue and taste buds will thank you! The generous folks at the Tonguespank Spice Company are giving one of Susan’s Disney Family readers a chance to win a spice pack, the Liquor & Heat - Complete Collection $35.00. Would you like to win? Please visit the Tonguespank Spice Company website, take a look around then come back here and tell me your favorite flavor of spice that they offer. There are also other ways to enter, please enter below. Disclosure: The reviews and or opinions on this blog are my own opinions . I received spices to review. No monitory compensation was received. I was not required to write a positive review. Your experience may differ. The opinions I have expressed are my own I am disclosing this in accordance with the Federal Trade Commissions 16 CFR Part 255: Guides Concerning the Use of Endorsement and Testimonials in Advertising . I can totally see hubby using the Smoky Bourbon Table Blend on his eggs and burgers, and I might try it on pizza as well. And on carne asada I bet it would be wonderful! I want to try the Garlic Grappa Table Blend! I'd like to try the Citrus Rum Table Blend. I would love from the site: Garlic Grappa Table Blend. I think I would really like their Citrus Rum Table Blend as I like rum and love citrus. I love them all. They all look good. Would love to try the Garlic Table Blend! Thank you so much for sharing your recipes, this is what I like! I would love to try the Smoky Bourbon Table Blend. The Smoky Bourbon Table Blend sounds delish! I love the smoky bourbon table blend, I can think of so many ways to use it! Garlic Grappa Table Blend sounds awesome! Thanks so much for the fantastic giveaway! I want to try the Citrus Rum Table Blend and the Smoky Bourbon Table Blend. I love spices and I am always looking for new ones to try. I'll be buying a box soon. I love hot & spicy! so I think the liquor and heat sample pack! The Smoky Bourbon Table Blend sounds awesome. I would love to try that in a burger. I would like the scopion bourbon spice. I like the Liquor & Heat Sample Pack 2. 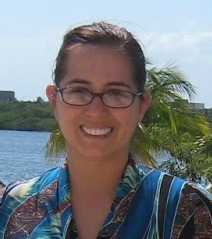 I marvel at how you manage a blog site, work full time and is a mom. You are an inspiration! I'd like to try the scorpion bourbon table blend. I would love to try the Garlic Grappa Table Blend. The Smoky Bourbon Table Blend sounds really good. I liked that they offer a sample pack. I think I would like the garlic grappa or the scorpion bourbon blend the best but they all sound great! Wow! I would love to try the Smokey Burboun, but I can see Hubz going for the Scorpion. What a unique range of seasonings! The Scorpion Bourbon sounds delicious! I like the Garlic Grappa Table Blend. I would like to try the smoky bourbon on hamburgers. I would love to try the Citrus Rum blend. Sounds good. I like that their products are made in the USA. I also like all the unique spices and the reusable jars. The Citrus Rum Table Blend is intriguing! If you've ever been inside an Italian kitchen, you'll recognize this smell immediately. All the Tuscan herbs are here, alongside the warmth of a balsamic vinegar and Italian brandy blend. Replacing the standard red pepper with habanero chilies kicks the whole combination up a few notches. Try it on pasta or in a marinara sauce. 2 oz. Bundle alert! Pick this item up the Complete Collection and save a few bucks. I like the Smoky Bourbon Table Blend . I'd like to try it on veggies. The Citrus Rum Table Blend is only $8, very reasonably priced. I would love to try the Garlic Grappa Table Blend! Also, the name of this product is awesome. I'd like to try the Garlic Grappa Table Blend. It would be good on just about everything. I want to try citrus rum blend! I would liked to try the citrus rum blend. My chicken wants it! Garlic Table Blend is what I would like to try. I am always trying to find a spice to replace salt. I would love the citrus rum table blend! The Citrus Rum blend should be really good on pork. Like to try it. These all look amazing - but I'd love the Scorpion Bourbon Table Blend! the Garlic Grappa Table Blend looks great. I am a big garlic fan, so that would be it. The garlic blend..I LOVE garlic. I like the Citrus Rum Table blend. I would love to try the Scorpion Bourbon Table Blend - I like my food spicy hot! I like the Garlic Blend. I want to try the Scorpion Bourbon blend. I like my spices like I like my drink: Spicy Bourbon. The Garlic Grappa Table Blend sounds tasty. I love the recipes and the garlic blend. definitely a memorable name for a company very creative. I am a major garlic fan so I too vote for garlic grappa table blend. I'd love to try the Garlic Grappa Table Blend! These look very interesting! The Grappa one looks amazing but the bourbon sea salt yumm! i like the citrus rum table blend. i can't wait to try these! Oh yum! They all sound delcious. I love trying new spices...the Citrus Rum sounds good! I am Italian and cook with garlic all of time, so I'd also definitely love the Garlic Grappa Table Blend. The garlic table blend would be great so I could use it with everything! I would like to try the garlic table blend. Garlic Grappa Table Blend for sure. I would love to try the Scorpion Bourbon Table Blend, my husband loves really spicy food. I love the Smoky Bourbon Table Blend. We have to try the garlic and bourbon together! I love the Garlic Grappa Table Blend! The scorpion bourbon table blend would be amazing to try! I've never heard of these, but they look so delicious!! Anything that's called Tonguespank has got to have something special to wake the taste buds!!! Would love to try the Scorpion Bourbon Table Blend on some seared Mahi Mahi. Yum!! Garlic Grappa Table Blend sounds the best! The garlic table blend sounds really really good! Thanks so much for the chances to win this. reward strategy. So engage in online lotto programs and have the opportunity to win huge amounts.